We are very thankful for 28 wonderful years on the campus of the US Center for World Mission. Judson International School's focus has always been to provide quality Christian education with a global focus. Our faculty and student body represent over 20 nations and our unique International Christian Curriculum teaches our students to see the world through God's eyes, helping our students grow in knowledge, understanding and wisdom. 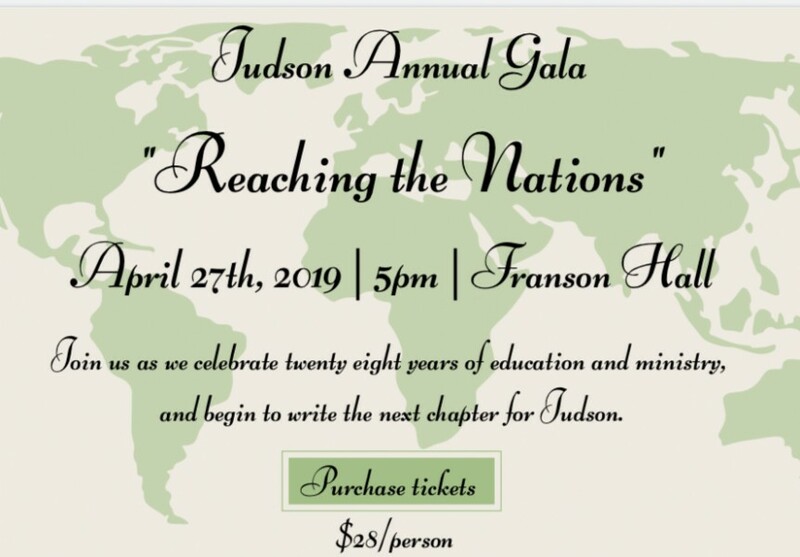 As we look ahead to the next chapter at Judson International School in our new location, we want to celebrate right here on campus all that God has done while looking forward to an exciting future ahead as we continue to reach out to the nations with Christ's love. Our celebration will include a live DJ, dancing, dinner, photobooth, silent auction and live auction. Some of the items being auctioned off are a family four-pack to Knotts Berry Farm, Dodger tickets, Kidspace Museum tickets, Aquarium of the Pacific tickets, and a weekend getaway in Lake Arrowhead.